” Hammond organs are perfect for almost every genre of music because of its dynamic unique soulful sound. The SK1-73 allows me to switch from organ to piano while maintaining a stiffer action than a synth. Christopher North is a founding member of the progressive rock band Ambrosia, which is based in Los Angeles. Ambrosia is now celebrating its 45th year of great success in performances and recordings and is touring the U.S. as well as other parts of the world. Christopher has been playing Hammond organs since 1967 and is listed on the All Time Hammond Pops list three times for his solos on Ambrosia hits “Holding On To Yesterday”, “Biggest Part Of Me” and “You’re The Only Woman”. He was also listed from 1976-1981 as one of the top multi-keyboardists by Keyboard Magazine at which time they discontinued the list. Christopher was born in San Francisco in 1951 and developed a passionate love of music in early childhood. In 1964 he was already playing in bands. By 1967 he had acquired his first Hammond organ,an M3. He has played with such luminaries as Michael McDonald, Dave Mason, Gary Wright and Edgar Winter to mention only a few. Ambrosia was founded in 1970 by Christopher North, Joe Puerta, Burleigh Drummond and David Pack. Their album “One- Eighty” was nominated for three Grammy awards, as well as Grammy nominations for Best Engineered Album for “Ambrosia” and “Somewhere I’ve Never Travelled”. Christopher contributed to The Alan Parson’s Project album “Tales Of Mystery And Imagination”. 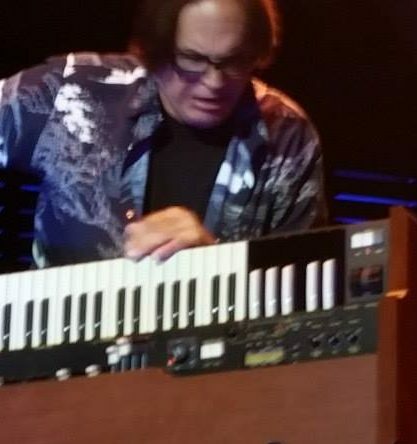 In 2014 he played on The Doors Tribute album along with such greats as Keith Emerson, Rick Wakeman, Brian Auger, Edgar Winter and Todd Rundgren among many others.Ambrosia albums are “Ambrosia”, “Somewhere I Never Travelled”, “Life Beyond L A”, “One-Eighty”, and “Road Island” as well as various anthologies. anxiously await live performances and new recordings as the enduring popularity of Ambrosia continues. Christopher is admired worldwide for his extremely intense powerful and unique live performances.